Nord Keyboards are pleased to announce the new Enhanced Electric Pianos added to the free Nord Piano Library are now compatible with additional models in the Nord range. Stage 3, Stage 2 EX, Stage 2, Electro 6, Electro 5, Piano 4 and Piano 3 owners can all now benefit from the Enhanced EP Collection. 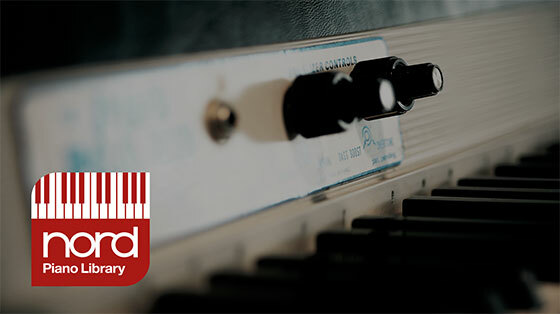 The latest OS update is required for all models, together with the latest version of the Nord Sound Manager software. The Enhanced Electric Pianos have been refined for optimal sound quality and the new L and XL versions feature additional velocity layers for extended and more detailed dynamic response. In addition, new EP Filters, including an incredibly accurate model of the legendary Dyno preamp, are available for the Nord Stage 3 Series, Electro 6 Series and Piano 4 via the same OS updates.